Must Make Mother’s Day Gifts! We’re just about at the 11th hour ’til Lady Liberty’s birthday, but that doesn’t mean the holiday’s too close to craft for! Here are 10, quick-and-kid-friendly yarn crafts to kick-off your 4th of July! 1. Yarn & PVC Bangles, by Jacolyn Murphy. So clever, and a great use of scraps. Have the kiddos go through your yarn bin, then get their bangles on! (Any sport or worsted-weight yarn will work). 2. Fireworks Yarn Stamp, by Warm Hot Chocolate. Such a clever craft for the kinder-set! 4, Stars & Stripes Dishlcoth: A Lily Sugar n’ Cream, crocheted cutie, that’ll get those post-picnic dishes clean! 5. 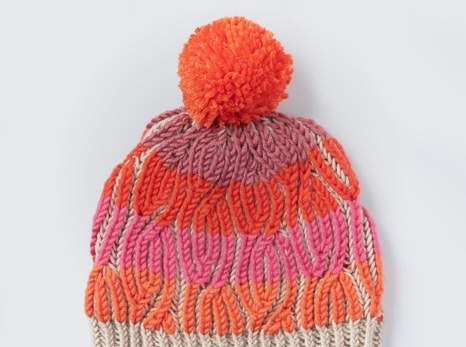 Firework Pompoms, by Makes and Takes. A sweet and simple craft, that’s the perfect for safe, celebrating. 7. Bulky Bolsters. I’m a big fan, of thematic decor…especially of the last minute variety. Thanks to bulky yarn, and a whopping Size S (19mm) hook, you can whip -up a patriotic pillow in a jiff! 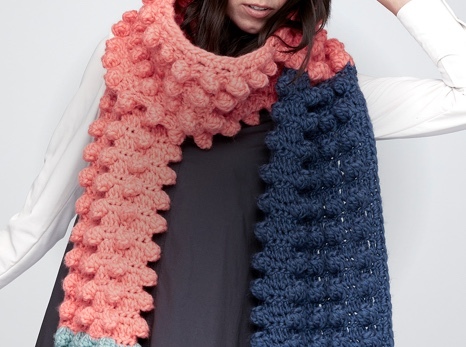 Yarn suggestion: Bernat Mega Bulky. 8. National Day Brooch, by Pickles. Ok, technically, these cuties were designed for Norway’s holiday, but I’m sure the ladies of Pickles won’t mind if we wear them in U.S. pride, too! 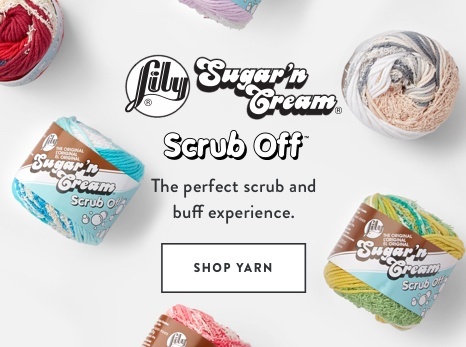 Yarn suggestions: Lily Sugar n’ Cream OR Caron Simply Soft. 9. Patriotic Pompom Wreath, by Flamingo Toes. 10. Nautical Knot Bracelet. Did any of you make this with me last year on, Google Hangout? You can still macrame your little, bracelet-hearts out, using the sailor knot and some Lily Sugar n’ Cream yarn! Home is where your mom is, so why not celebrate her day by making something for that place she’s helped make so special?